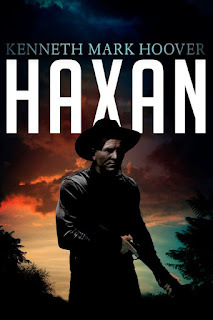 Kenneth Mark Hoover is the author of Haxan, another book available in the same Weird Western StoryBundle as my own A Book of Tongues. 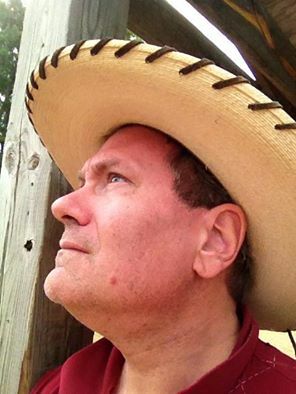 Last night he published an interview with me, here (http://kennethmarkhoover.me/2016/09/04/guest-interview-weird-west-writer-gemma-files/), so I'm returning the favour. Mark's a gentleman and a brilliant writer, someone whose investment in the genre is both deep and genuine. I hope you all enjoy discovering something about his process, and check out StoryBundle's Weird Western package before it's no longer possible. Mark: Thank you so much for doing this interview as well! Here are my questions. 1. Why did you choose to specialize in the weird west genre? Thank you for inviting me, Gemma. I’ve been looking forward to this for a long time. Well, I started in the genre when I began to listen to the old Gunsmoke radio episodes. They were very different from the television series. Much more violent, and they dealt with adult situations which television couldn’t, or wouldn’t touch. 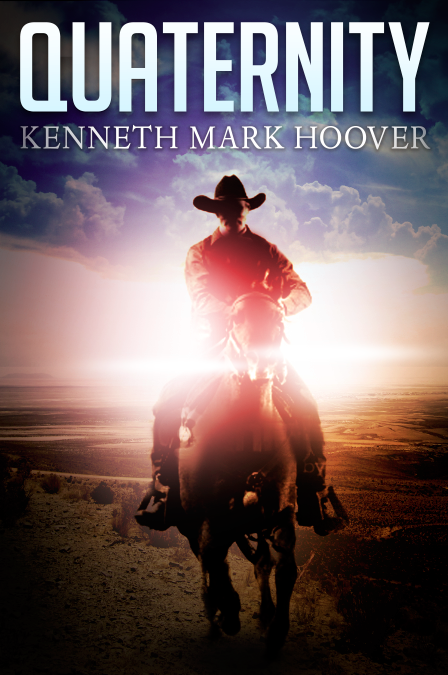 That hooked me immediately, and I decided I wanted to do something in the western genre, but with an added supernatural flavor. Not necessarily to spice things up, but to write the weird western genre in an honest way that portrayed both the people and culture with historical accuracy. What drew you here, and what keeps you here? I think it’s the story potential in both respects. I love the creative freedom it gives. There’s a lot of versatility available to a writer in this genre, and as a creator that definitely appeals to me. It gives me a lot of running room which I love. I often describe it as my own little corner of the universe where I can play with matches. I like the dangerous aspect of it. I think that probably says more about me than the stories I write. 2. Haxan the town appears to attract archetypes who often seem to have stepped wholesale out of other stories--myths, legends, classics of literature. Was this something you planned from the beginning, or is it an alchemical sort of idea that crept up on you in mid-writing? I think it sort of crept in, to be honest. I wasn’t planning on that happening. But again I believe it’s a logical extension of the potential of the genre. But even when I bring these things into the story I want them to behave and react in a historically accurate manner given the culture of the Old West. I never want the West to be only a backdrop. I try to construct the stories in such a way that the West itself is a necessary character. I may not always be successful in doing this, but it’s always on my mind. 3. Quaternity is both Haxan's sequel and its prequel, not to mention a single narrative rather than a story cycle; it seems to reference Cormac McCarthy's Blood Meridian, not so much directly as in tone--it's bleak, black and bloody beyond belief. Please tell me how the process of writing Haxan worked into writing Quaternity (if it did), and if you always had [your hero Marshall John] Marwood's back-story in your mind. 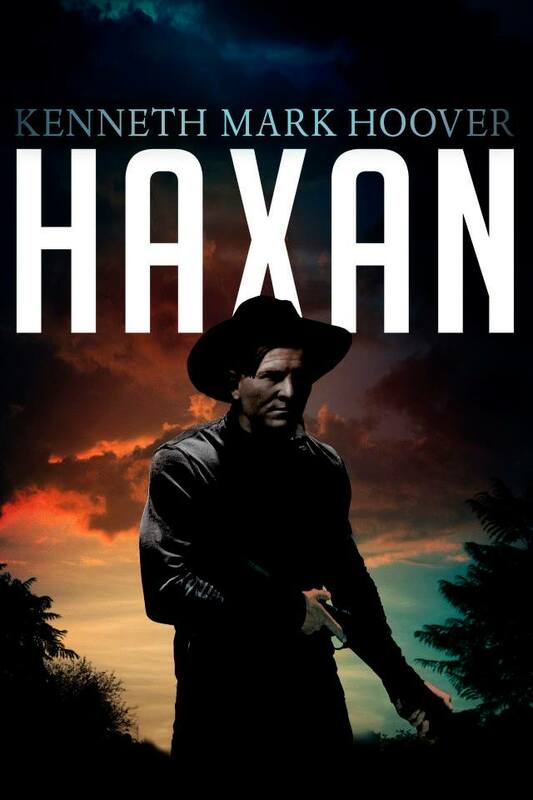 I always had Marwood’s back-story in mind when writing Haxan. I approached both novels with the same intention: I wanted to present the Old West the way it was, not the censored and sterilized view Hollywood and television has often given. It was a bleak and brutal existence. You had people from all different cultures and backgrounds struggling every day to survive. There’s nothing romantic about that. When I was writing the novels I would ask myself, “What would Hollywood do? I’ll do the opposite.” It wasn’t long before I realized I wasn’t doing the opposite. I was actually showing how these people acted and behaved. They were mean and they were violent and they lived in a land literally soaked in blood, and it didn’t bother them that much as long as it wasn’t their blood being spilled. I really liked that a lot because I personally believe that is the historical core of humanity. All you have to do is open a history book. Those are pretty powerful themes to write about, and I like exploring them from all different angles. 4. You say one of your favourite writers is Alice Sheldon, also known as James Tiptree Jnr. What in particular do you think Sheldon taught you as a writer? She taught me through her stories how to be uncompromising and how to write honestly, even if you had to be brutal to do it. Sheldon never wrote a dishonest word in her life. She didn’t write safe stories. All her fiction stands with a firm foundation of her own beliefs leavened with a tremendous amount of artistic creativity. I can’t match her creativity, or her artistic genius, but I can match her honest belief to write as boldly and courageously as possible. I think that’s a good lesson for any writer. 5. You began by writing science fiction, then transferred genres. Do you ever see yourself going back to SF? Certainly not in the weird west genre. I’m very particular about what genres I want to include into a western setting. No SF, no generic werewolves or vampires or Cthulhu monsters. I have always believed the most dangerous monsters are human. Those are the monsters I often try to reflect in my westerns. I do, however, have a 3-book contract with The Ed Greenwood Group coming up and they are all hard science fiction novels taking place in a shared world. I’m very excited to be a part of that and I’ll start working on them next year. 6. What do you love most about New Mexico, and why did you pick it for the background of your Haxan stories? I love everything about New Mexico. It’s maybe the one place I feel at home. I love the people, the culture, the country, just everything about it. It’s a beautiful state, and I like the idea of Haxan, this dark and violent town, and John Marwood, a dark and violent man, placed in that gorgeous setting. It provides a very strong emotional dynamic which I like to explore in the stories. 7. Though the world of Haxan is dark, it's also often funny as hell. Is this deliberate? Do you think the Western's conventions and language lend themselves to comedy? Oh, it’s deliberate. If all I wrote about was the darkness of Haxan I think that would be too oppressive. It would lose a lot of its emotional power and it would bore me. People aren’t just one thing. They have many sides and limitless layers of emotions to them. As a writer it’s incumbent upon me to portray that as honestly as I can. I also think, yes, Old West conventions and language definitely lend themselves not only to comedy, but the ability to portray our modern lives from a different perspective. It’s really one of the reasons I like working in this genre so much. Thank you, Gemma, I’ve really enjoyed this a lot! The Weird Western StoryBundle is still available here (http://storybundle.com/weird). Enjoy!